Working myself out of a job has always been a goal of mine once I started consulting. I don’t expect my clients to be complete experts by the time I leave but as long as they know what they’re in store for and feel they’re on a path to get to where they want to go, I’m happy! Recently myself and colleagues started an internal coach development program in the hopes we will be out of work in the coming weeks and/or months! 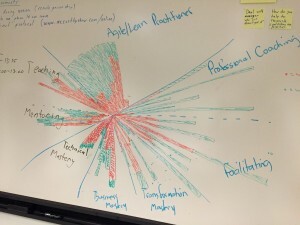 This is a large (40,000+ ) organization distributed across 4 timezones with multiple pockets of Agile being practiced from marketing through to IT teams. This organic approach was intentional. There wasn’t much of a point to starting a program right away because none of us (client included) knew what being a coach meant for this organization. Fast-forward many months later and it was time to create a coaching program. 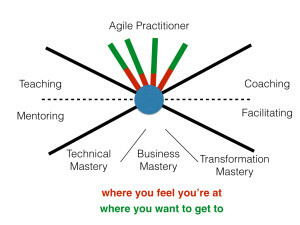 We decided using the Agile Coaching Institute’s framework made the most sense. 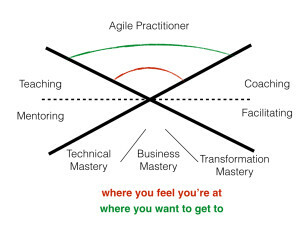 Interested in developing your own Agile Coaches? Contact me for details. Noel Burch created the ‘Four Stages of Competence’ model (although it’s sometimes credited to Maslow) and we identified early that the people in the program didn’t know what they didn’t know. Actually, that’s what they told us. 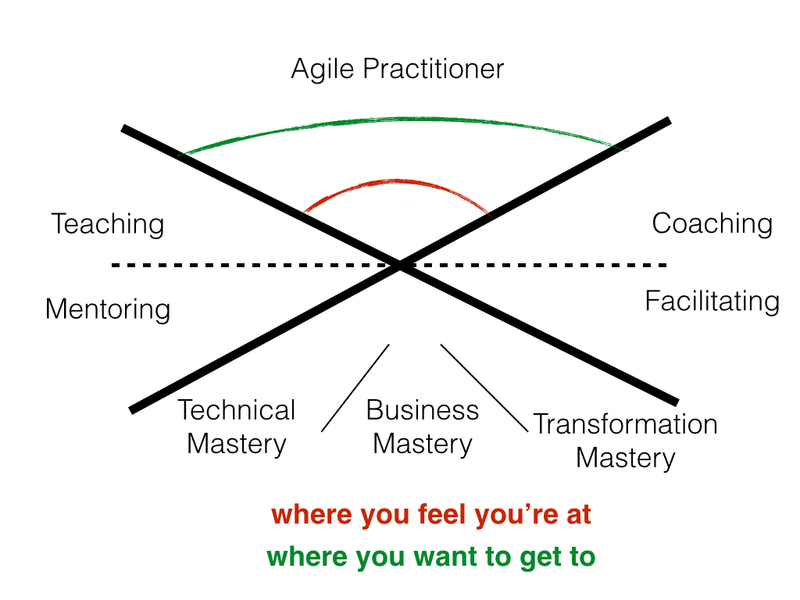 This image shows the more popular coaching frameworks out there. We explored the similarities and differences to give people a strong indication of what they’re in for when they decide to become a ‘coach’. 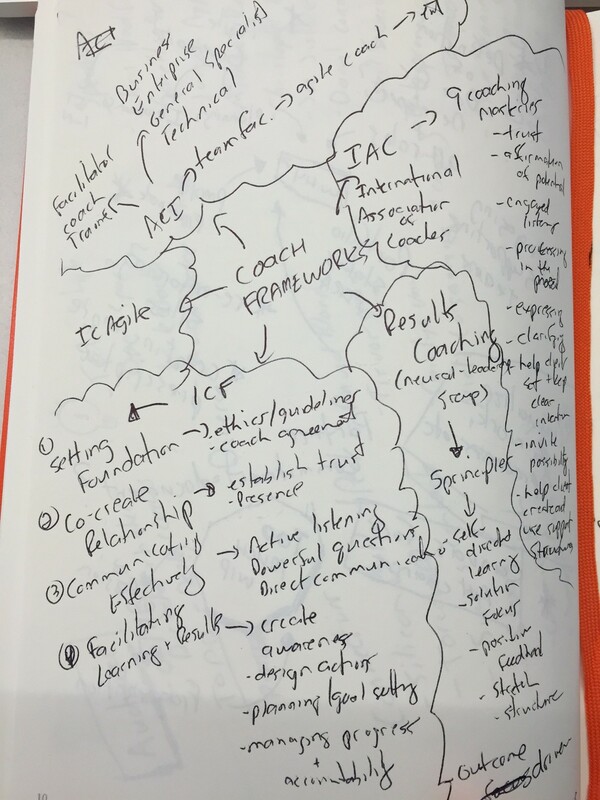 At the end of this session we agreed to use ACI’s framework as a base, and customize it with IAC’s coaching competencies. We ran the visioning exercise from Management 3.0 and had the group create a poster that envisioned what being a coach meant to them. They drew a picture of Yoda and completely bought into the servant leadership mantra that I believe works best. what about an official title and job description? how would a coaching team integrate into the hierarchy? These are huge questions but it wasn’t necessary to answer them yet as these coach candidates would operate largely within their sphere of influence for the short term. 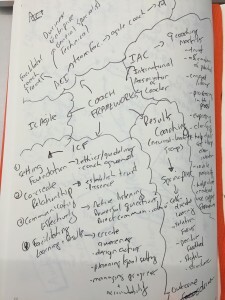 Block 2 ( 4 weeks): Facilitator and Coach: Building facilitation skills and doing a deep dive of the 9 IAC coaching competencies courtesy of the wonderful Sue Johnston. 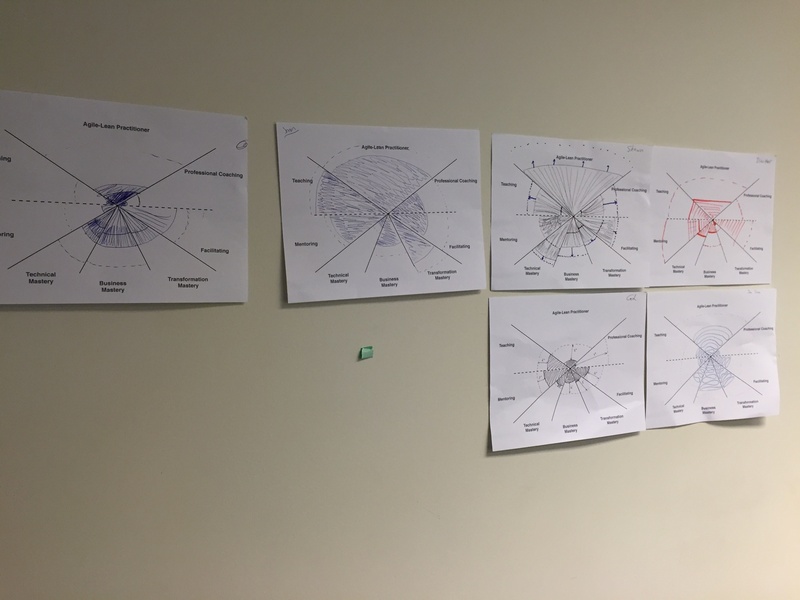 Block 3 (4 weeks): Advanced practices such as large group facilitation, program and portfolio management and optional deeper dives on whichever topics the group felt they wanted to learn more about. Our main challenge was figuring out how much of the program to design up front and how much to build over time. The challenge in enterprise organizations is the funding and planning part. The norm is to plan the whole thing up front, in excruciating detail, and know exactly what the outcome is. We managed to balance that uncertainty by knowing where we were going but we set the expectations that the last 4 weeks would likely be completely changed from what the plan was. 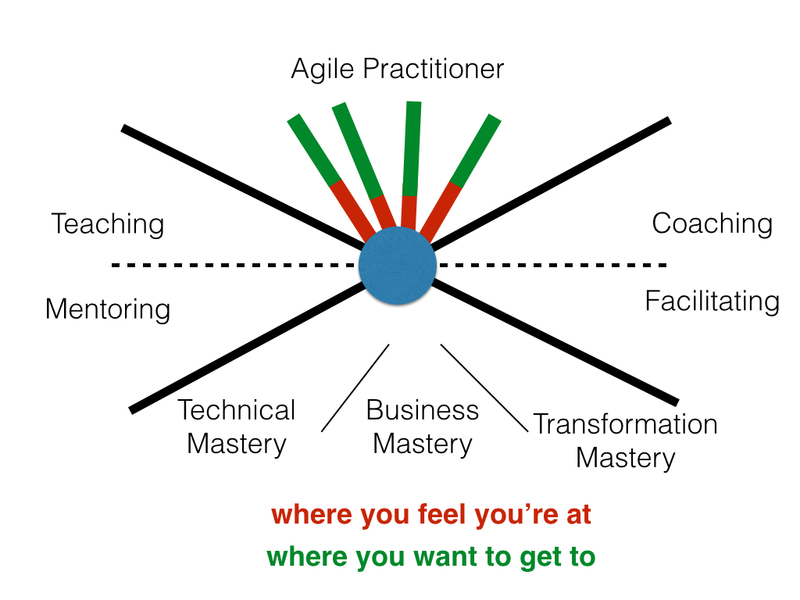 The other challenge was how we could deal with different people wanting to focus on different masteries. Should we split the group at the halfway point? What if each person had drastically different objectives? We solved that problem with Step 4! The first day of the program we had the candidates do a self-assessment after a short discussion about the parameters of ACI’s coaching framework. 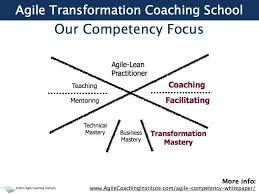 In each competency and mastery area of ACI’s Framework, where are you now and where do you want to be? 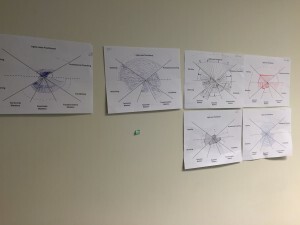 After that we had a discussion about what the aggregate data meant to the team. They felt that the group was largely skewed towards developing their professional coaching skills. What would your present self want to say to your future self 12 weeks from now? We’re currently in week #3 with an average satisfaction score of 8.6 out of 10. We’re using feedback from the development program to evolve it over time with our (external coaches) goal to be to have the candidates help design the next coaching program. Nice program, Jason. And thanks for the report. I used to do some very similar things at ACI, so it makes sense to me :-).